Intense colour, unbeatable silkiness. Revolution Pro Supreme Eyeshadow Palettes feature eight shades of our richest shadows.Combining creamy mattes and luminous, light-reflecting shimmers, every shade is soft and buildable for easy blending and stunning eye looks. Explore the entire range of Eye Shadow available on Nykaa. 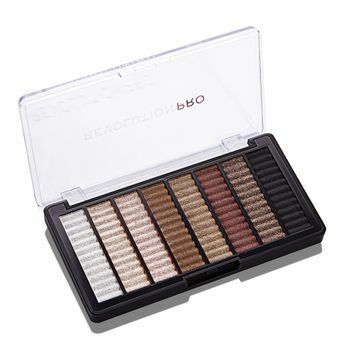 Shop more Revolution Pro products here.You can browse through the complete world of Revolution Pro Eye Shadow .Alternatively, you can also find many more products from the Revolution Pro Supreme Eyeshadow Palette range.